Loved by models, makeup artists, celebrities, and women everywhere, this is our most impressive formula to date and a constant best-seller. 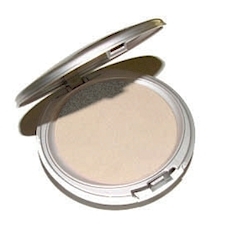 This cunning compact is embedded with micro-prisms that refract light away from wrinkles. Sweep on Mineral Sheer Radiance and watch your lines of experience, dark circles and skin imperfections (brown and red spots, blemishes, broken capillaries and scars) disappear. If nobody sees them any more, is that cheating? SPF 8. Apply alone or over foundation with Kabuki Brush and perfect skin is just a quick sweep away!